There are a lot of Multiplayer games available on Android, but it is hard to find a multiplayer game that supports Bluetooth. Bluetooth games are always fun to play and can be enjoyed with your friends and family. Here, we have listed 5 Bluetooth Multiplayer games for Android. Warlings is a multiplayer shooter game that can be played via Bluetooth on Android devices. It is the most downloaded and top rated among all Bluetooth Multiplayer games for Android. Play with your friends in bluetooth connected device and battle over space, sea and air. Download Warlings from the link below. 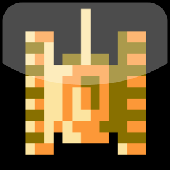 Tank 1990 is based on the classic Tank game. This multiplayer game can be played over Bluetooth network and offers over 150 maps to play on. Tank 1990 is a fun game and is quite good for passing time with friends. With different difficulty levels and controls, you will surely enjoy this classic game. 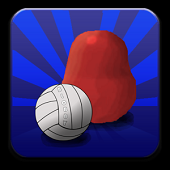 This one is for sports fans, an ultimate Volyball multiplayer game that can be played over bluetooth devices. Blobby Volleyball offers multiple modes and connection via Bluetooth or WiFi. You can even challenge any random player online. Also, you can rank up and add your name on global Leaderboard. 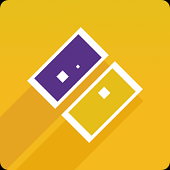 DUAL is a fun multiplayer game where players use their mobile devices to shoot from one screen to the other. There are 3 modes to play and challenge your friends: DUEL, DEFLECT, and DEFEND. You can connect with each other via Bluetooth or WiFi. 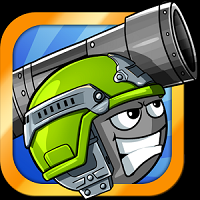 It is a great game, with awesome tactics and correlations between multiplayer devices. However, one person needs to have a pro version to play other two modes (Deflect and Defend). But you will surely enjoy this game with your friends. Download DUAL from the Play store by clicking the link below. All of us have played and enjoyed the classic game of LUDO. Now you can also play this multiplayer game on your Android phone. Just download LUDO classic from the link below and connect your smartphone with Bluetooth. You can also invite your Facebook friends to play and an online match. 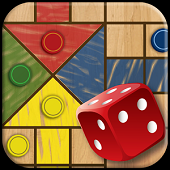 Download LUDO Classic from the Play store by clicking the link below. 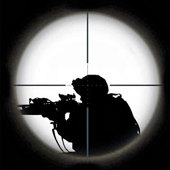 If you are a fan of FPS shooting game, then there’s nothing better than LWP LAN Multiplayer FPS game. However, this game does not support bluetoth connections. You will have to create a LAN connection via WiFi (can be done within app settings). LAN Multiplayer can support up to 10 players and has multiple maps and modes. Download LWP LAN Multiplayer FPS from Play store by clicking on below given link. NOTE: To play these Bluetooth Multiplayer games for Android, you must pair your Bluetooth with each other. Then open your game and connect your phone within game settings.